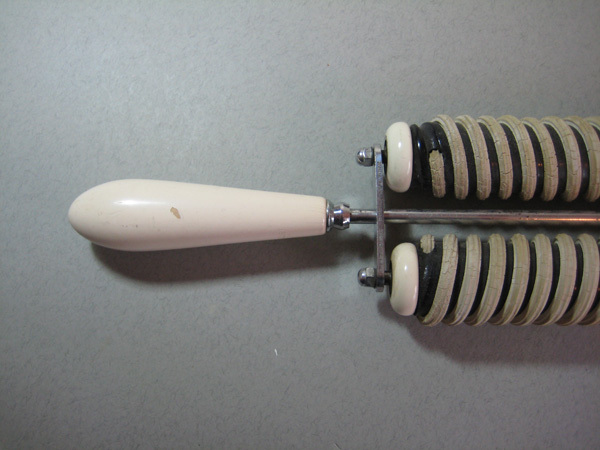 This is a massage roller produced by Elizabeth Arden. 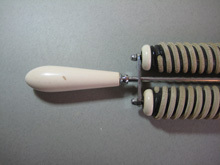 I have had other massage rollers before but this is the most sophisticated and stylish. It was meant to be rolled over the body to improve the circulation, reduce body fat and help with weight loss. I do not know how old it is but I would think it is from the 30's or 40's. On the metal frame it has Elizabeth Arden New York on one side and on the other Made in New York, Pat. Pend. The two rollers are wooden and covered with a rubber 'rope' they are wrapped in opposite directions, which presumably was thought to be most effective. All metalwork is chromed with high gloss painted handles. 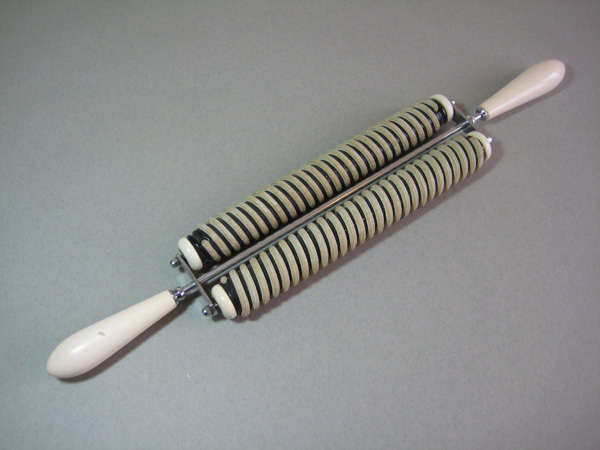 Compared with other massage rollers I have had this must have been the 'Rolls Royce'. 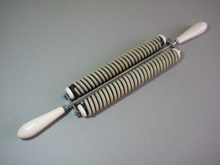 This roller is 550mm long and 90mm wide. 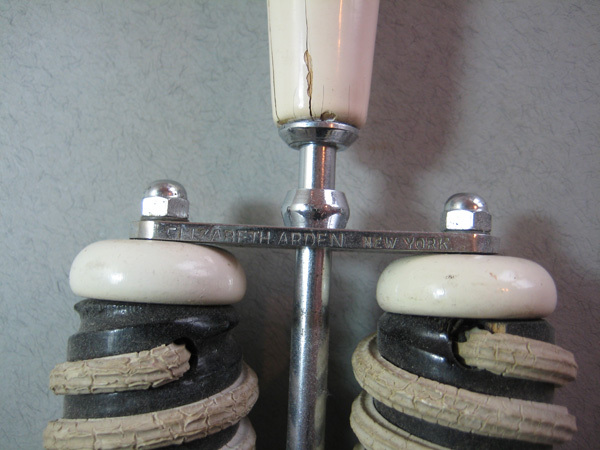 There is some cracking of the rubber due to the age and there is cracking of the paint on the handles, again consistent with age. I cannot guarantee the effectiveness for weightloss but these are actually quite relaxing for aching muscles. When I have had these at antique fairs they are always a conversation piece. If you are looking for a quirky gift or a feature item for a health club or sauna these are definately the things for you. Postage & packing for UK £5.50.